Best materials for your pet: ABS/PA66 plastic case, double layer nylon straps and metal nickel clasp make walking safe and reliable. Lightweight design is easy to bring. Padded handle makes walking comfortable even for strong puller. Short leash works better in controlling than longer designs. Most retractable dog leashes are waterproof and weatherproof, which means even in bad weather, you can still use that for great control, because strong construction works well in any weather condition. 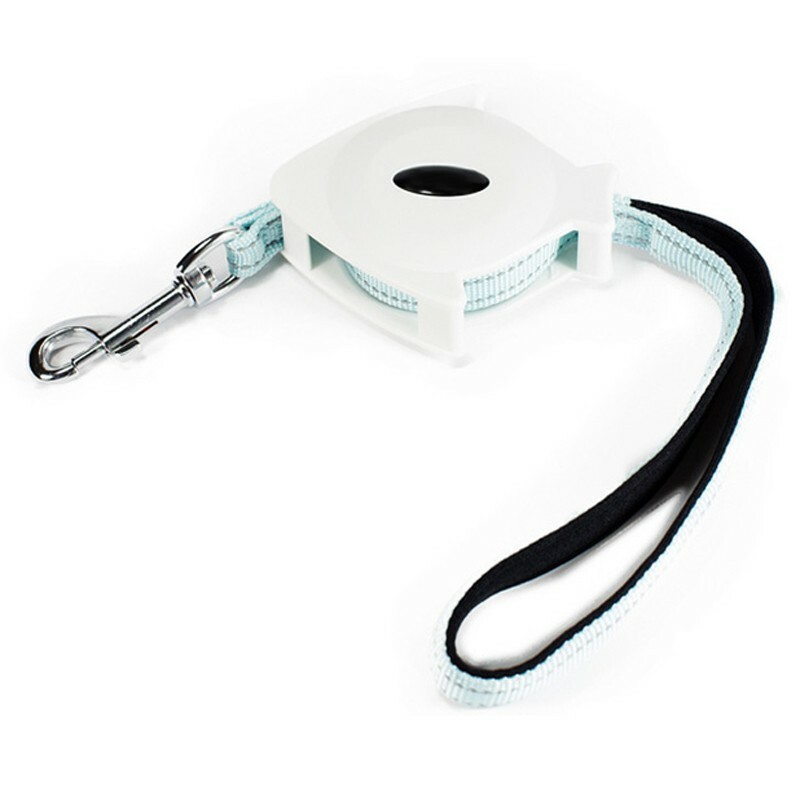 Besides, many retractable leashes are multifunction now, some include treat container, water bowl and even umberale, all those tools can be very useful for you under some emergency conditions. So you can see, an innovative design can really help you a lot and make every detail better.